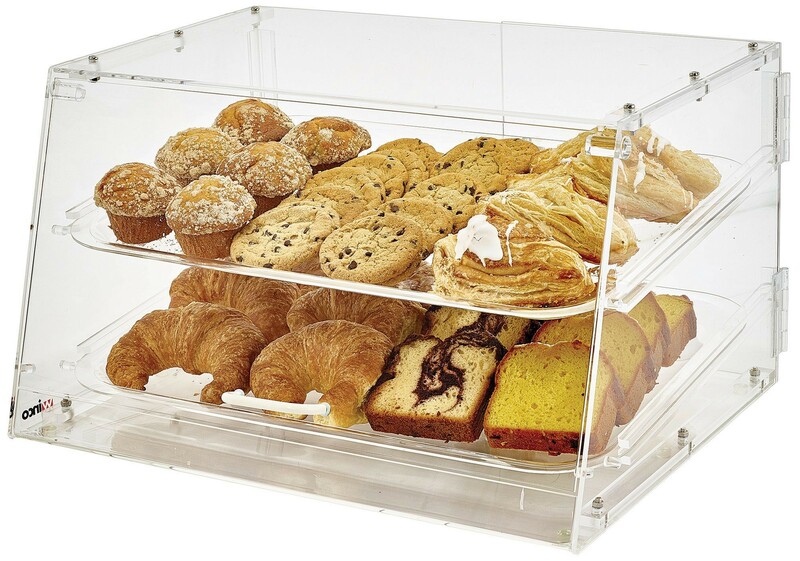 Give your customers or guests easy access to fresh baked goods with the Acrylic Countertop Pastry Cabinet with 2 Trays. This clear countertop bakery cabinet features two sturdy trays, a self-serve front door and a rear door for easy refilling. Ideal for coffee shops, convenience stores and cafeterias, this attractive pastry display cabinet will contribute to your decor. 21" x 18" x 12"
I recently purchased this cabinet for my pet boutique to hold gourmet dog bakery items. Its the perfect size for what I needed. Quality is very good and price was excellent!